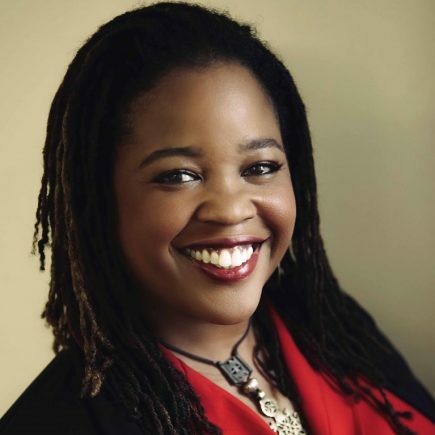 Farai Chideya is a reporter, political and cultural analyst, and educator. Over the years she has worked in print, television, radio, and digital media; covered every Presidential election since 1996; and traveled to 28 countries and 49 states to report, learn, and explore. Born and raised in Baltimore, Maryland, she is a fellow at Harvard’s Shorenstein Center on Media, Politics and Public Policy, studying newsroom diversity and editorial protocols during the 2016 election. She covered the 2016 election for FiveThirtyEight.com, with a special focus on demographics and the American voter, and was a Distinguished Writer in Residence at New York University’s Arthur L. Carter Journalism Institute from 2012-2016. A 1990 graduate of Harvard University, she was also a spring 2012 fellow at Harvard’s Institute of Politics. She frequently appears on public radio and cable television, speaking about race, politics, and culture. She previously hosted NPR’s News and Notes; was a reporter for ABC News; a political analyst for CNN; a host for the Oxygen Network; a consumer data and privacy reporter for The Intercept; and a reporter for Newsweek magazine. She and the teams she has worked with have won awards including a National Education Reporting Award, a North Star News Prize, and a special award from the National Gay and Lesbian Journalists Association for coverage of AIDS. She has also worked in both the for- and non-profit technology industry as a content strategist.